An Immigrant's Quest For Identity In The 'Open City' Teju Cole's debut novel, Open City, follows Julius, a half-Nigerian and half-German doctor, as he wanders the streets of New York. Julius struggles to understand his identity as an immigrant, an experience the author himself is familiar with. 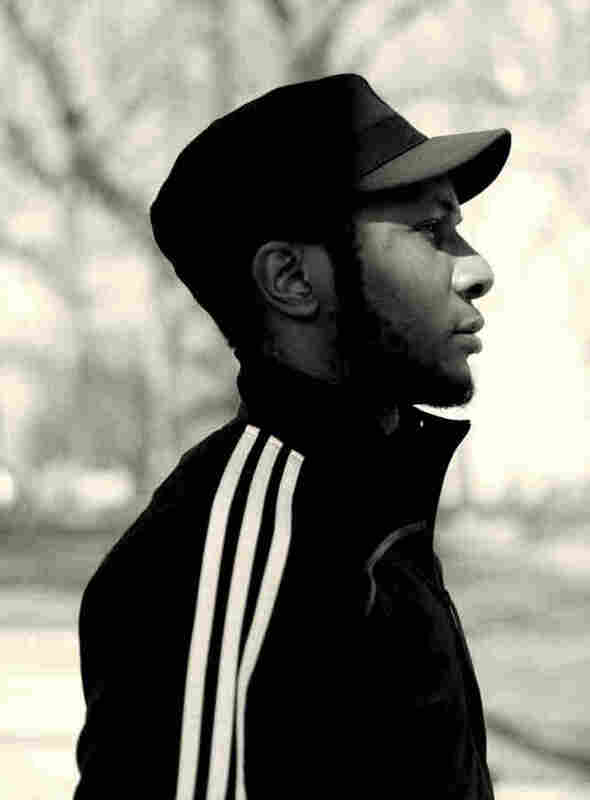 Ever since he moved to New York a little over 10 years ago, author Teju Cole knew that he wanted to write about the city, with the general structure of a character walking and walking around the metropolis and making discoveries. After the attacks on Sept. 11, 2001, he says, he suddenly found the freedom to write this story. The result is Open City, a debut novel that has met with high praise and is being called a new landmark in post-Sept. 11 fiction. "My view of writing about those things [like Sept. 11] is that you can best write about it by writing about other things," Cole tells NPR's Audie Cornish. "And by understanding that catastrophic trauma is not new in this city." Cole cites the erasures of the Native American past and the history of slave-holding in New York as other instances of extreme violence that have been suppressed over time. By writing with those stories in mind, he says, it's more possible to comprehend the trauma of Sept. 11. There's a little drop of something else in my version of American-ness; I think that's a story worth telling. Julius, the novel's main character, walks around New York for days observing his surroundings. The central conflict of the book, Cole explains, is what happens to a mind that takes things in — and one that's sensitive to what's going on around it. 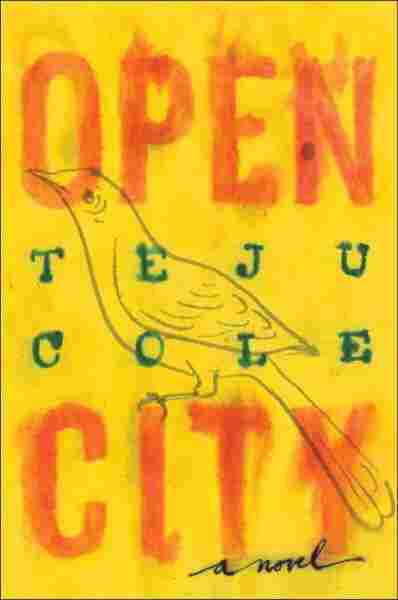 Cole says the title, Open City, can take on two meanings — in both an invasive and welcoming sense. It can refer to the practice of allowing an invading army to enter a city in an effort to save its physical structure, as international law prohibits that army from bombing or destroying it. 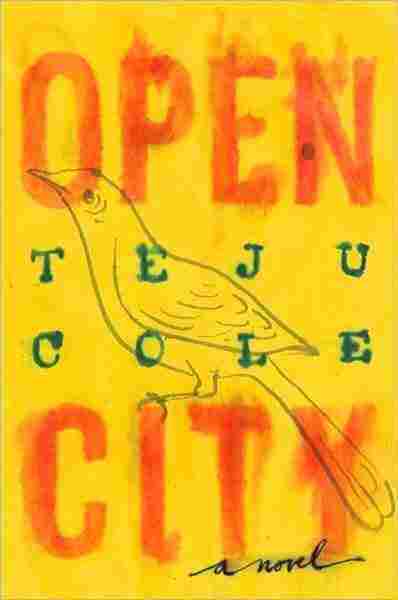 But Cole also wanted to describe the city as "open" in a more positive sense — that of being openhearted. Julius exhibits that porous, open-minded quality by walking all over his adopted town simply to talk with strangers and learn their life stories. Cole himself spent time talking to many people in cafes, on planes and at concerts in an effort to research his novel. He found that a surprising number of people wanted to tell him about their lives. "People are able to detect that there's something unusual going on here; this is somebody who actually wants to hear the small and insignificant and boring details of my life," he says. "People open up — they trust that, and they open up." Most of the people Julian talks to in the novel are immigrants, or at least somewhat culturally outside the mainstream — Julian himself is both German and Nigerian. Cole, as well, was raised in Nigeria but moved to the United States in 1992. He began to embrace his American-ness, he says, when he realized that it was OK to be what he calls an "eccentric American," looking to the president or Dominican-American author Junot Diaz for examples. "It's a bit like Ralph Ellison in The Invisible Man ... where he talks about when you're making white paint, put a little drop of black in it and it comes out even more vivid. So there's a little drop of something else in my version of American-ness; I think that's a story worth telling," he says. When I began to go on evening walks last fall, I found Morningside Heights an easy place from which to set out into the city. The path that drops down from the Cathedral of St John the Divine and crosses Morningside Park is only fifteen minutes from Central Park. In the other direction, going west, it is some ten minutes to Sakura Park, and walking northwards from there brings you towards Harlem, along the Hudson, though traffic makes the river on the other side of the trees inaudible. These walks, a counterpoint to my busy days at the hospital, steadily lengthened, taking me farther and farther afield each time, so that I often found myself at quite a distance from home late at night, and was compelled to return home by subway. In this way, at the beginning of the final year of my psychiatry fellowship, New York City worked itself into my life at walking pace. Not long before this aimless wandering began, I had fallen into the habit of watching bird migrations from my apartment, and I wonder now if the two events are connected. On the days when I was home early enough from the hospital, I used to look out the window like someone taking auspices, hoping to see the miracle of natural immigration. Each time I caught sight of geese swooping in formation across the sky, I wondered how our life below might look from their persepective, and imagined that were they ever to indulge in such speculation, the highrises might seem to them like firs massed in a grove. Often, as I searched the sky, all I saw was rain, or the faint contrail of an airplane bisecting the window, and I doubted in some part of myself whether these birds, with their dark wings and throats, their pale bodies and tireless little hearts, really did exist. So amazed was I by them that I couldn't trust my memory when they weren't there. Pigeons flew by from time to time, as did sparrows, wrens, orioles, tanagers, and swifts, though it was almost impossible to identify the birds from the tiny, solitary, and mostly colorless specks I saw fizzing across the sky. While I waited for the rare squadrons of geese, I would sometimes listen to the radio. I generally avoided American stations, which had too many commercials for my taste—Beethoven followed by ski-jackets, Wagner after artisanal cheese—instead tuning to internet stations from Canada, Germany or the Netherlands. And though I often couldn't understand the announcers, my comprehension of their languages being poor, the programming always met my evening mood with great exactness. Much of the music was familiar, as I had by this point been an avid listener to classical radio for more than fifteen years, but some of it was new. There were also rare moments of astonishment, like the first time I heard, on a station broadcasting from Hamburg, a bewitching piece for orchestra and alto solo by Shchedrin (or perhaps it was Ysaÿe) which, to this day, I have been unable to identify. I liked the murmur of the announcers, the sounds of those voices speaking calmly from thousands of miles away. I turned the computer's speakers low and looked outside, nestled in the comfort provided by those voices, and it wasn't at all difficult to draw the comparison between myself, in my sparse apartment, and the radio host in his or her booth, during what must have been the middle of the night somewhere in Europe. Those disembodied voices remain connected in my mind, even now, with the apparition of migrating geese. Not that I actually saw the migrations more than three or four times in all: most days all I saw was the colors of the sky at dusk, its powder blues, dirty blush and russetts, all of which gradually gave way to deep shadow. When it became dark, I would pick up a book and read by the light of an old desk lamp. I had rescued the lamp from one of the dumpsters at the university; its bulb was hooded by a glass bell that cast a greenish light over my hands and the book on my lap, as well as on the worn upholstery of the sofa. Sometimes, I even spoke the words in the book out loud to myself, and doing so I noticed the odd way my voice mingled with the murmur of the French, German or Dutch radio announcers, or with the thin texture of the violin strings of the orchestras, all of this intensified by the fact that whatever it was I was reading had likely been translated out of one of the European languages. That fall, I flitted from book to book: Barthes's Camera Lucida, Peter Altenberg's Telegrams of the Soul, Tahar ben Jelloun's The Last Friend, among others. In that sonic fugue, I recalled Saint Augustine, and his astonishment at Saint Ambrose who was reputed to have found a way to read without sounding out the words. It does seem an odd thing—it strikes me now as it did then—that we can comprehend words without voicing them. For Augustine, the weight and inner life of sentences were best experienced out loud, but much has changed in our idea of reading since then. We have for too long been taught that the sight of a man speaking to himself is a sign of eccentricity or madness; we are no longer at all habituated to our own voices, except in conversation or from within the safety of a shouting crowd. But a book suggests conversation: one person is speaking to another, and audible sound is, or should be, natural to that exchange. So, I read aloud with myself as my audience, and gave voice to another's words. Excerpted from Open City by Teju Cole. Copyright (c) 2011 by Teju Cole. Excerpted by permission of Random House Publishing Group, a division of Random House, Inc. All rights reserved. No part of this excerpt may be reproduced or reprinted without permission in writing from the publisher.